THOUSANDS OF BANK of Ireland customers were overcharged interest on their tracker mortgage accounts. The bank has confirmed that the overcharging occurred on 3,916 accounts. In a statement sent to TheJournal.ie, the bank said it would like to extend its “sincerest apologies” to the customers affected and added they would commence refunding those amounts at the beginning of 2017. As part of an industry-wide review into tracker mortgages required by the Central Bank, Bank of Ireland identified what they referred to as a “small rate differential” of 0.15% which they said was “not the rate specified in the account loan documentation”. In addition, the bank has identified 602 accounts where a right to, or the option of, a tracker rate of interest was not provided to the customer when it should have been. They do point out, however, that the number of customers impacted is fewer than the 3,916 accounts referenced as a number of customers may have more than one mortgage account on their property. The BOI statement said: “Bank of Ireland will now commence contact with these customers to return them to the correct tracker rate and inform them of their new payment amounts. This latest finding comes after a 2010 review, which saw 2,100 mortgage accounts get restored to tracker rates. Tracker mortgage issues have afflicted other banks, including AIB. Last month, AIB’s chief executive told an Oireachtas Committee that 14 of its customers had lost their home because of high interest rates imposed by the bank. 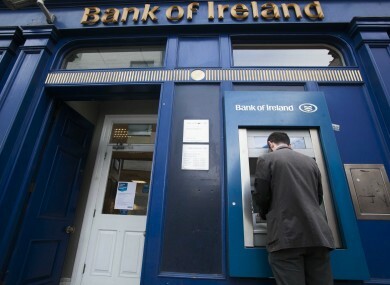 Email “Bank of Ireland confirms it overcharged on almost 4,000 mortgages”. Feedback on “Bank of Ireland confirms it overcharged on almost 4,000 mortgages”.